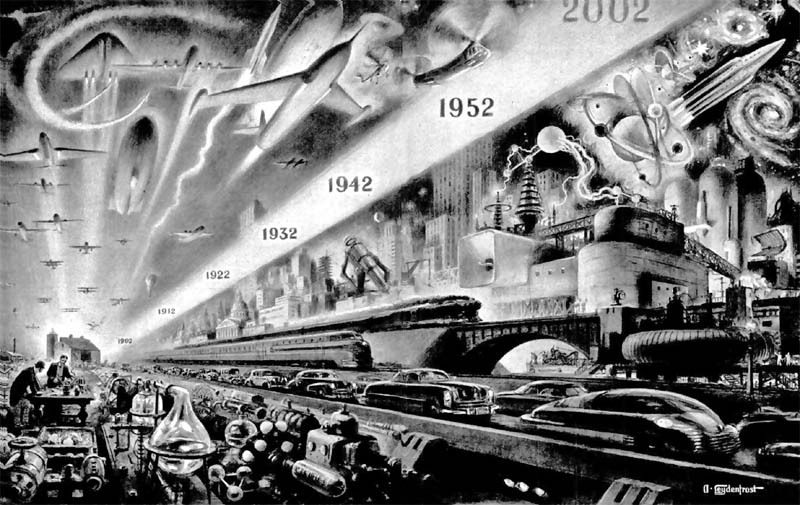 AS IT STANDS: As It Stands: Transportation Futurism- cars in the sky & flying saucers for all! 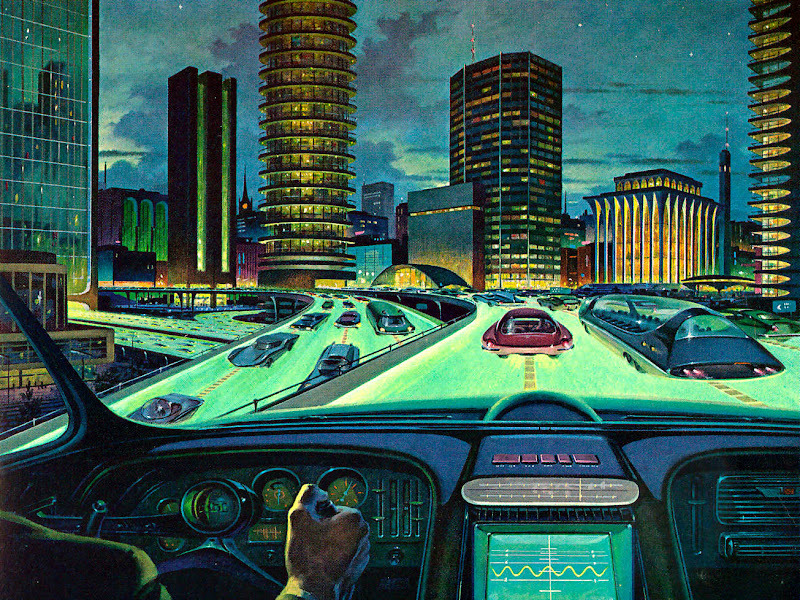 As It Stands: Transportation Futurism- cars in the sky & flying saucers for all! I’m not sure why, but every time I get on the topic of futuristic transportation I think of The Jetsons! Those flying cars impressed me more than I thought I suppose. I remember going to Disneyland, Walt Disney's metropolis of nostalgia, fantasy, and futurism, when it opened on July 17, 1955. The $17 million theme park was built on 160 acres of former orange groves in Anaheim, California. Autotopia was one of the many attractions on that opening day, and I got my first glimpse of futuristic cars! I was wowed! I fell in love with cars on the spot. As the years went by I went from futuristic cars, funny cars, race cars, and back to futuristic cars. 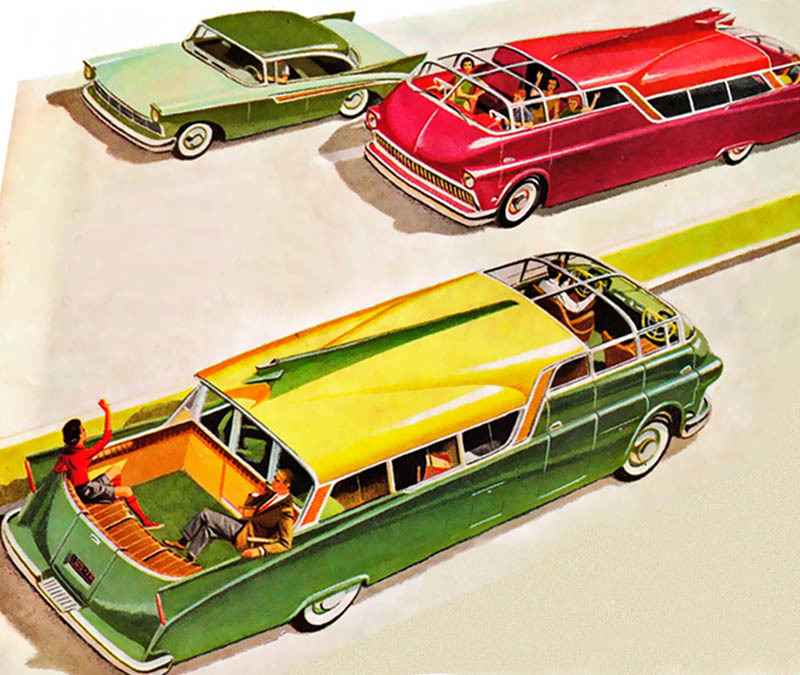 Here’ some transportation-related illustrations and concepts from popular science and science fiction magazines - most of them rarely seen examples from unlikely sources, such as vintage Communist Youth magazine illustrations, or fantastic covers from international book editions. How are we going to get to the future like this? Well, according to The March of Progress published in 1952 issue of Popular Mechanics, it's going to happen.... gradually. 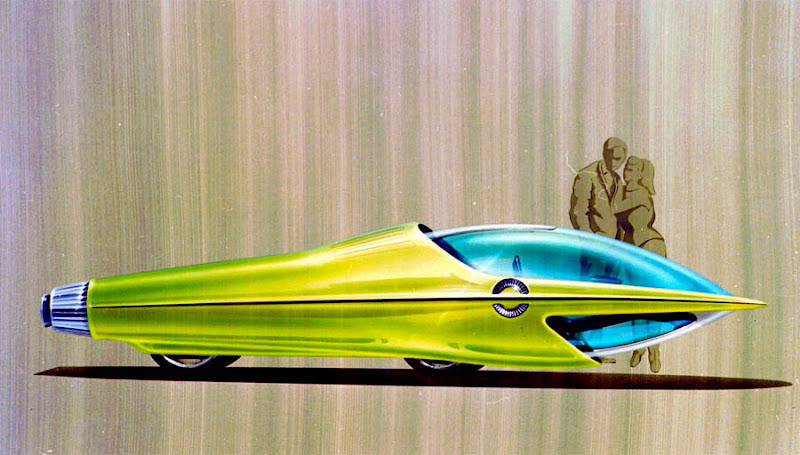 The car above may look like a modified shampoo bottle, but it also projects the ideas of the 1960s optimism and great expectations for future transportation in general. Wow! Long-lost Orson Welles’ movie discovered!